That is the name that will label small factions and powers in the Human Sphere as the Mercenary Companies. The Druze Society is probably the most powerful criminal organization within Submondo, the international mafia entity that reaches all across the Human Sphere. The unmeasured use of unparalleled violence and their keen sense for business, reaching success with their companies used as a front to cover their illegal activities are the factors that have taken them to the top of Submondo’s inner circle. 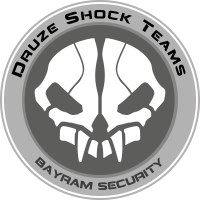 Formed as an elite unit within the Druze Society, the Shock Teams have kept a high level of tactical capacity, always above your average goon that might be found in any criminal group. Until the so-called Knauf case, which put a Hexahedron agent inside the organization in order to bring down their operation and activities, information about the Druze Society was based on incomplete and partial reports that did not provide with any relevant data. Despite this, no intelligence service in the Human Sphere has doubts about the depth of their ramifications and influences on the global economy. Even though there are still many details from this corrupt intrigue, and it is really difficult to determine the real extent of their criminal activities. The Druze Society is probably Submondo’s most powerful criminal organization, an international mafia association that extends throughout the Human Sphere. The Druze Society’s interests and businesses cover numerous sectors, and its influence reaches even the highest circles. But to be able to maintain a position of power within the criminal world, aside from money and influence, you also need fangs and claws. In the Druze’s case, the sharpest ones are those of Bayram’s security service on their private caravansary. 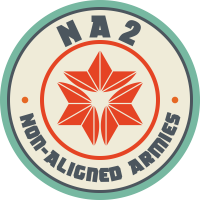 Comprised of hard-core Shock Teams paired with a dreadful reputation, this security service is so effective that very few dare engage it. For this reason, Druze operations and this caravansary are the safest in the Sphere. To maintain that maximum level of efficiency, the Druze offer one section of their security service to the military company market. This team operates as a small mercenary company that works as riot control. Bayram Security’s fee is not cheap, but their deadly results leave no room to negotiate. 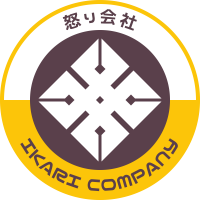 The Ikari Company is the most despicable mercenary company in the entire Human Sphere. 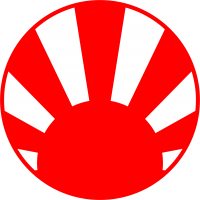 The reputation of this mainly Japanese group of mercenaries is based on a record of contemptible actions committed in the name of others, either unscrupulous corporations or criminal organizations. Forget about honor and the samurai way; the ideology of the Ikari is that of the ronin, the warrior without lord or honor, who is interested only in money. But not only Japanese make up this company. Here you will find the worst scum of the Human Sphere. The questions the Ikari ask of their members are few—the only thing they want to know about their past is if they are heartless enough to accomplish the jobs the company accepts. The Free Company of the Star, or StarCo to abbreviate, conceived as an external financial resource of the Corregidor Jurisdictional Command, is proud of the professionalism of its members. Only a few in the mercenary market can compete against this company in terms of effectiveness and precision. However, the feature for which it is really appreciated is the value of their word, because even if things go off the rails, the StarCo always keeps it. This page was last modified on 10 April 2019, at 07:20.